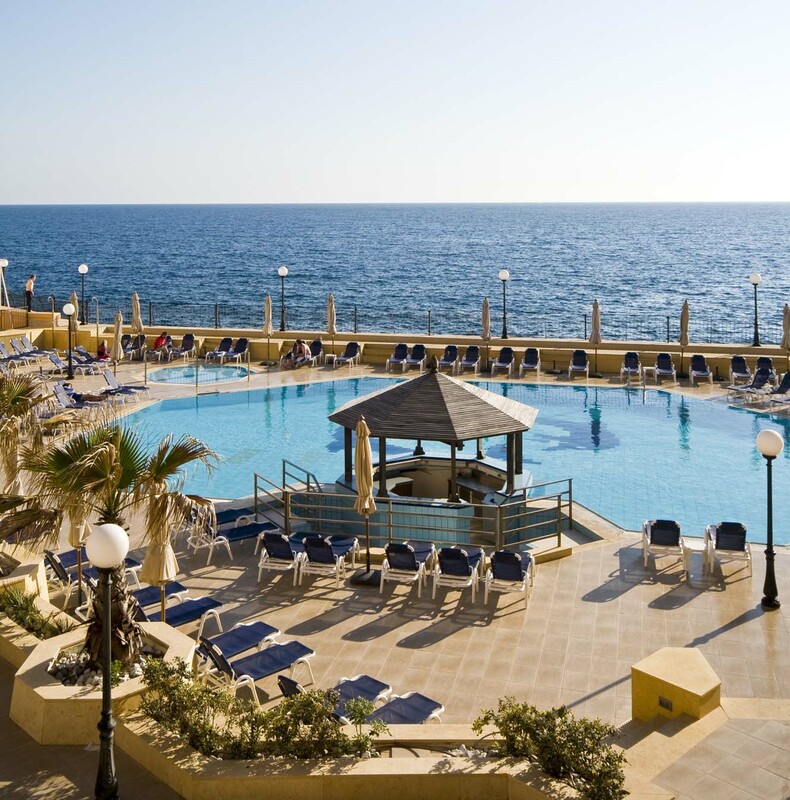 The Radisson Blu resort is located in an idyllic location right on the water’s edge on the seafront of St George’s Bay, Malta. 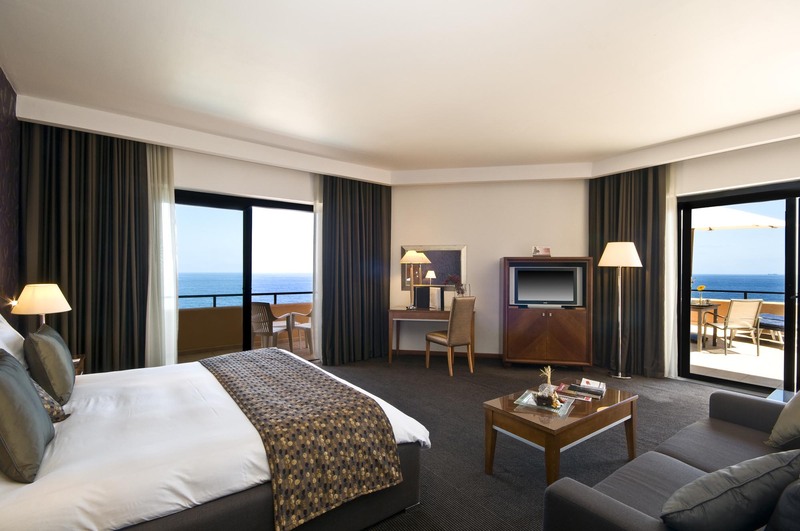 With lavish rooms, exquisite dining options and state of the art on-site facilities including its very own spa and wellness centre, the Radisson Blu is the perfect hotel for those looking for a luxury holiday in Malta. 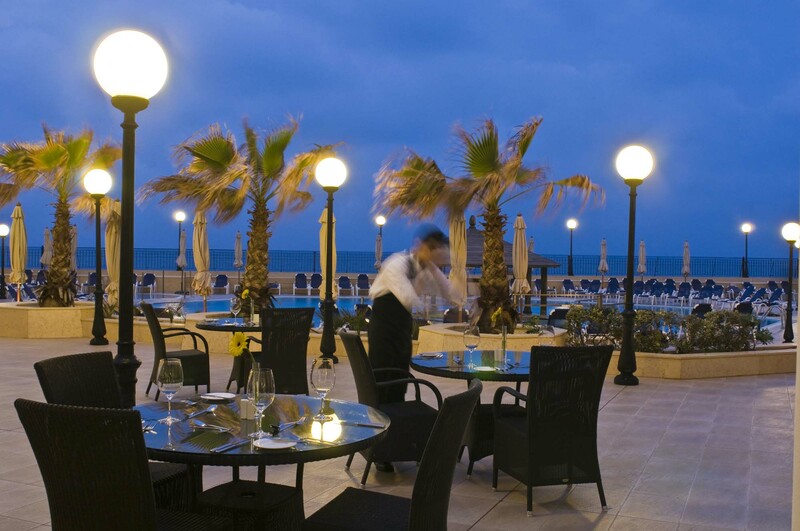 The five star Radisson Blu Resort offers guests a selection of deluxe rooms overlooking the turqouise Mediterranean from either a sea view or side sea view balcony or terrace. Guest can enjoy a range of luxurious amenities like a large flat-screen TV, housekeeping, air-conditioning, robe and slippers, a mini bar and high-speed wireless internet for no extra charge. For a truly luxurious experience during your stay at the Radisson Blu Resort guests have the option of using an Executive Suite. The Executive Suite comes with separate sleeping and living areas made up of two rooms joined by a door. This is the perfect accommodation for a family of around four who can enjoy spacious bathrooms, deluxe amenities and generous living rooms that can be transformed into extra bedroom space. Executive Suite guests can also take advantage of complimentary use of the Leisure Club including the gym, sauna and heated indoor pool. Take advantage of the wide range of services and five star facilities available at the resort by visiting the Leisure Club which is equipped with a fabulous gym, two outdoor tennis courts, a sauna, heated indoor and outdoor pool and jacuzzi. The outdoor pools give guests the perfect sea front views and create the illusion of swimming in the glistening Mediterranean sea due to their close proximity to the water’s edge. Add to your five star experience and spend a day being pampered with premium beauty and therapeutic health treatments at the resort's beautiful on-site Marion Mizzi Well-being Spa centre. Many of the spa treatments are great for couples as well as individuals looking to relax and remove themselves. Specialists are on hand waiting to help you select treatments that best suit your needs. Round off your five star spa treatment by visiting the resort's own hair salon and refresh your look for the night ahead. Add some excitement to your holiday and take a trip down to the resort's on-site Starfish Diving School. Explore the marine life of the Mediterranean alongside diving specialists and take part in a range of courses including wreck diving, night diving, boat diving and technical diving. The diving school is equipped with excellent training pools and direct seafront access for boat diving. Incorporate some light physical activity and sightseeing into your holiday by taking advantage of the bicycle rentals, hiking trails and water sports in Malta. Venture out and explore the mystical Mediterranean by jet skiing, parasailing or boating. Guests can live the ultimate life of luxury exploring the Mediterranean by chartering a yacht, speedboat or a cabin cruiser at the resort. Leave the planning up to experienced staff at the resort who can tailor make a special incentive program that best suits your event. Take your pick of the four spectacular on-site restaurants serving traditional rich Mediterranean, international and European cuisine morning, noon and night. Indulge in a tasty buffet spread at Kon Tiki consisting of delicious pastries, fruits, cereals and hot breakfast dishes. During the months of June to September, guests can casually dine outdoors at the Edge Restaurant in the glistening sun overlooking the Mediterranean. If you would rather sit back and relax within the comfort of your own room, take advantage of the fabulous on-site catering services and allow experienced resort chefs to customise a menu that perfectly suits your individual needs. As the resort is perfectly situated and within easy reach of the surrounding area the resort guests have the luxury of being able to venture out to nearby delicious restaurants and can experience the pleasant nightlife of St Julian's. Visit the Radisson Blu Resort Malta for the ultimate luxury holiday experience in Malta with stunning rooms, excellent on-site facilities and fine dining restaurants. 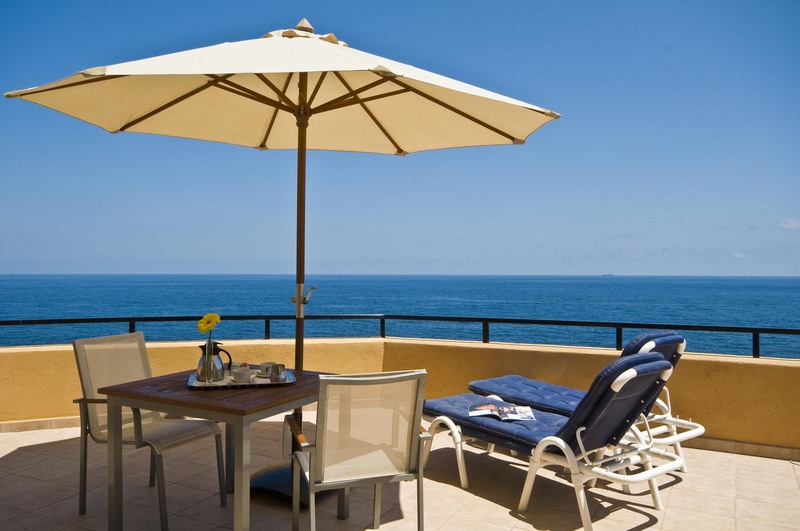 The resort has much to offer its guests and we guarantee that it will not disappoint.